Some things can only be experienced. One of these is a live trading floor, where orders are submitted, prices are negotiated, activity is fast paced and competitive, and everyone reacts in real time to the actions of others. The FTS Interactive Markets with price discovery create this experience in an educational setting. Student’s trade with each other in a competitive market: they submit bids and asks, buy and sell orders. Trade execution is instant, and after each trading period (of a few minutes), everyone gets immediate feedback on their performance. They experience what it is like to be a trader, how a market really works. They get an intuitive understanding of the price discovery process, market efficiency, market impact, liquidity, and many other practical aspects of a financial exchange. It has proven to be one of the best ways to teach time value of money, market efficiency, option pricing, and forwards and futures. 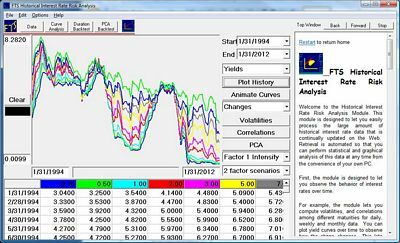 Try it out: click here and in the new window, click "Connect to Demo"
The FTS Real Time System differs from other virtual portfolio simulations in one fundamental way: it focuses on the application of analytical techniques in portfolio management. It comes with a teaching guide and detailed projects and exercises that help reinforce the understanding and practical application of concepts. The Financial Statement Analysis Module, teaching guide, and accompanying videos, have been developed with the view that this is one subject where a hands-on, learning-by-doing approach adds immense value. Students work with actual company filings, in a highly interactive and structured learning environment, with immediate and detailed instructions at every step. As students extract information and construct ratios, they absorb important practical details along the way, for example how different companies report information, how to map this information into the ratios, and as they gain experience, they develop the judgment needed to interpret the measures. The FTS Machine Learning Module provides a gentle introduction to the a variety of machine learning models and their applications in finance. 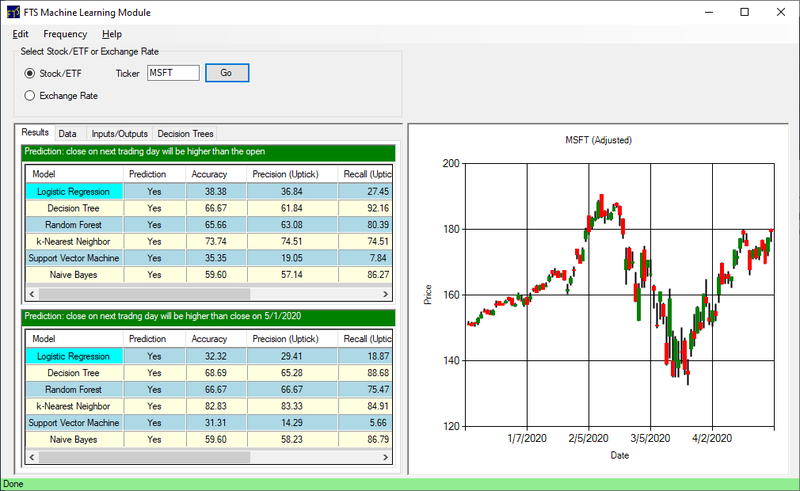 The module uses a simple stock forecasting problem using easily available and easily understood data. The FTS Modules are stand alone learning tools that allow students to build conceptual and analytics depth. Some modules are tutorial in nature, others let them analyze real world problems with real world data. For example, they can conduct financial statement analysis from first principles, learn to apply different valuation models, study efficient frontiers, learn option trading strategies and hedging. 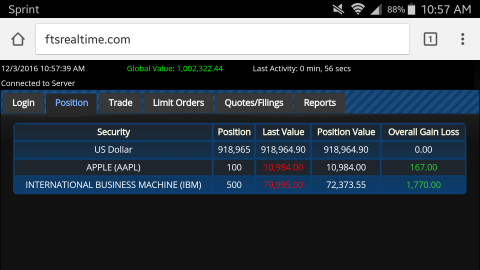 The modules complement our trading systems. FTS has its origins in research. It was originally designed by Professors John O’Brien and Sanjay Srivastava, and the first research paper using FTS came out in the Journal of Finance in 1991 Since then, it has been used in a variety of studies, particularly for financial market experiments, and a list of some papers written on or using FTS is below. If you know of a paper that is not on the list, we would greatly appreciate it if you would send us the link. 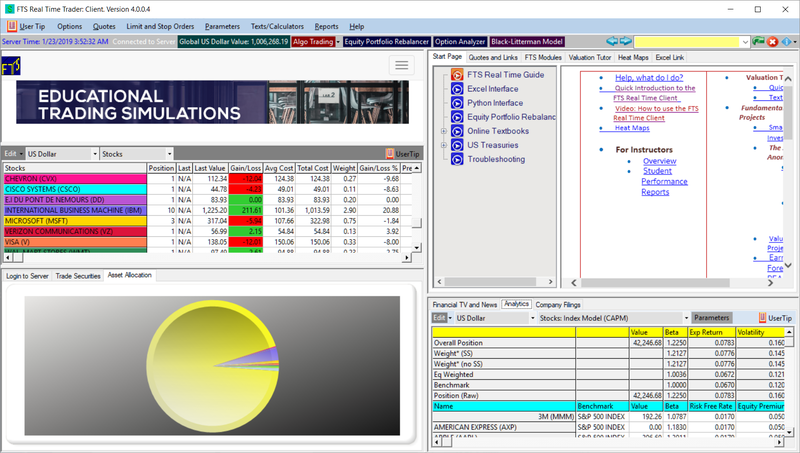 Market Experiments The FTS Interactive Markets provide an easy to use and comprehensive framework for financial market experiments. It is quite straightforward to conduct experiments on information aggregation, speculative bubbles and overreaction to information, excess volatility and trading, and so on. The system also allows for different microstructures (call markets and continuous double auctions, quote and order driven markets), as well as very general payoff structures, allowing for a wide range of incentives to be implemented in an experimental setting. The entire experiment is defined in a spreadsheet. The easiest way to see its capabilities is to look at our existing cases (for example, case RE2, used in the 1991 Journal of Finance article). Then, look at the spreadsheet that defines the case. The workbook containing case RE2 is available at this link. 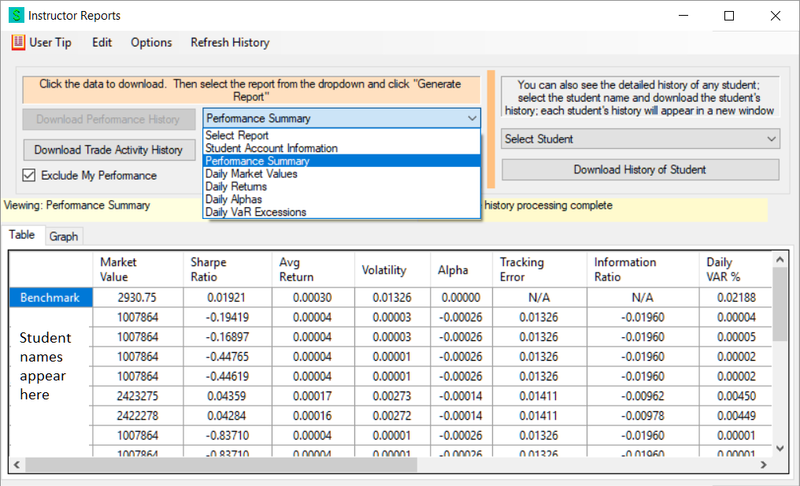 A description of the various parts of the spreadsheet is given here. If you want to conduct market experiments, please contact us, and we can help you set up your experiment. 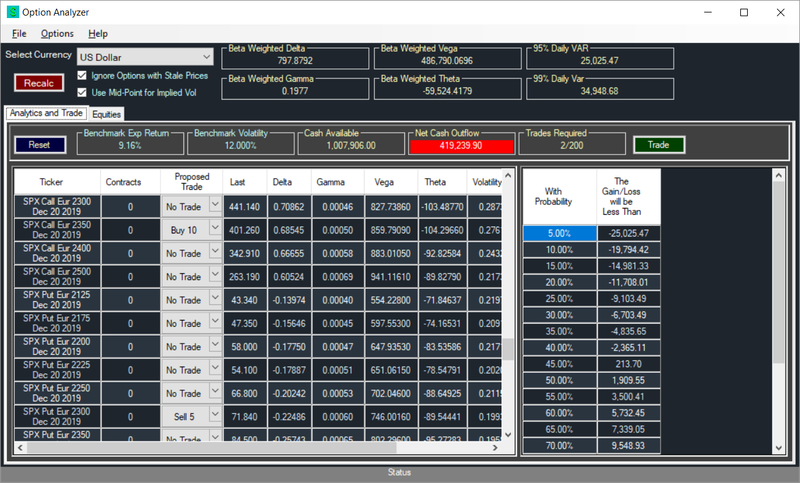 The FTS Experimental System Beyond markets, we also provide a “generic” experimental system, where you can run almost any experiment you like, including auctions, game theory experiments, behavioral finance experiments, and so on. More information is in this document. Volatility in Returns from Trading"
How Do Market Prices and Cheap Talk Affect Coordination? 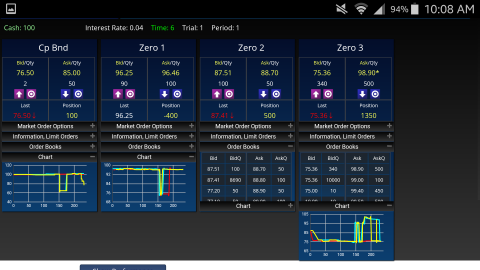 To access the FTS Real Time System, you can also use the browser based version of the client. and then follow the instructions for Windows's users. 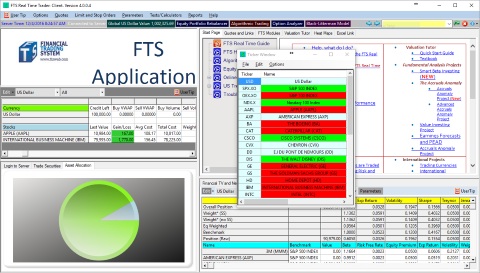 To access the FTS Real Time System, you can use the browser based version of the client. 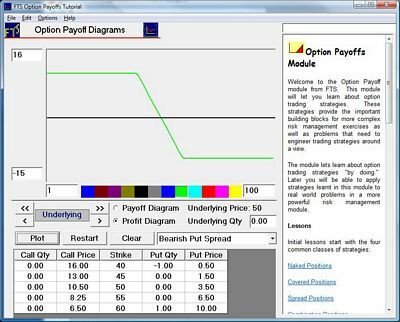 The Financial Trading System was created by OS Financial Trading System. Founded in 1992, FTS, as we are commonly known, is a leading provider of trading simulation software and other educational software. It was founded by Professors John O’Brien and Sanjay Srivastava. Sanjay Srivastava (PhD MIT 1982) was a Professor of Economics and Finance at Carnegie Mellon University. He is now Associate Dean at the Robinson College of Business at Georgia State University. FTS powered the first educational trading room, the “FAST Lab” at Carnegie Mellon University in the early 1990’s,the first educational trading room at a business school. The Smithsonian Institution's Archive of American History made the progressive work of the FAST Lab part of its permanent research collection on innovative information technology and awarded it a Computerworld-Smithsonian medal. 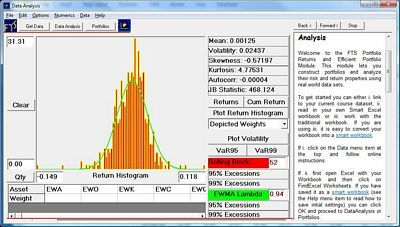 Do you want a trading simulation with price discovery as well as a virtual portfolio simulation system and supporting analytical modules? 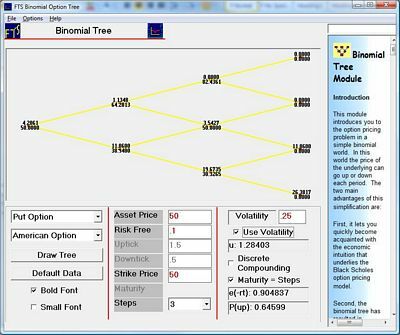 Do you want students to learn how analytics and quantitative techniques are applied in portfolio management? Do you want a system where advanced students can develop trading stratgies, including introducing them to use open source Python libraries? If any answer is yes, FTS is your only choice. Analytics and algorithms dominate today’s financial markets, unlike the markets of twenty years ago. 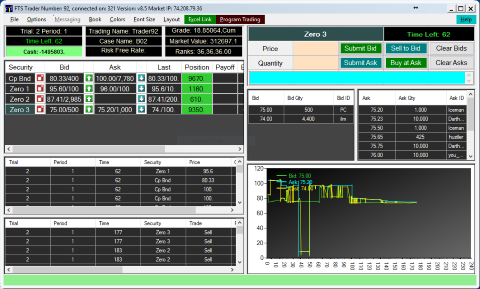 Both our trading simulations let students learn to develop and test trading algorithms in a live setting . This is completely different from back - testing on historical data . 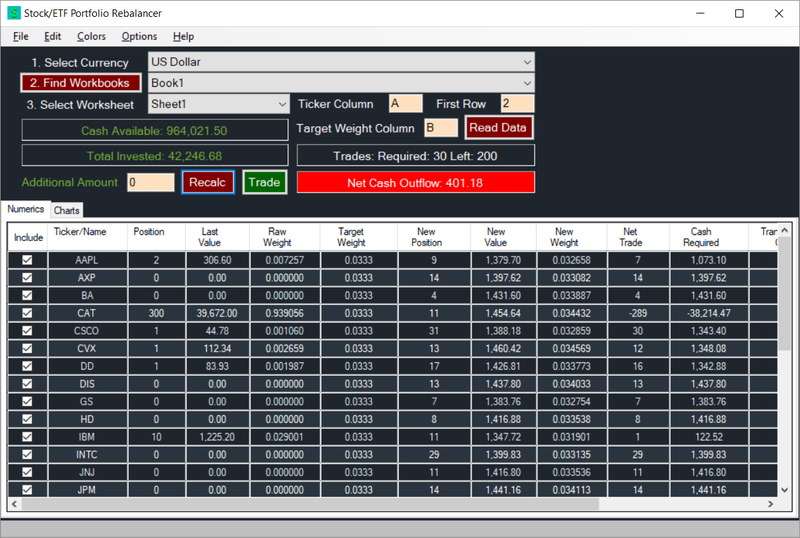 It also makes it possible to implement trading strategies that would be almost impossible to do manually (e.g. 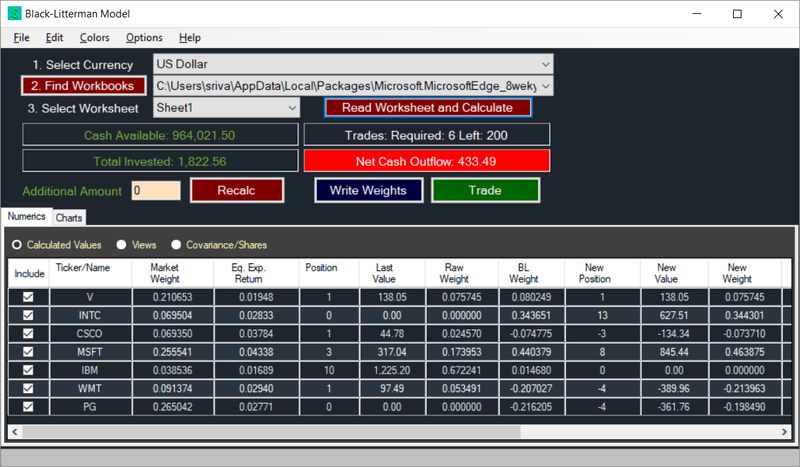 pairs trading, market - neutral strategies, basket trading, and optimal trade execution). Whether you want to create your own trading case, want to run an experiment, or want to discuss how best to implement any part of FTS nto your curriculum, you get support directly from professors who have taught using the system at a variety of levels. Students to install the system on their own computers and access it from anywhere on the internet. Given the scalability of our system, large numbers of students can participate, develop analytic depth and build practical skills. Do You Need a Ticker?